During Tornado Warning Students Sing And They're Awesome! Non-confirmations by the NYSE Advance-Decline Line of new market highs have often signaled major trouble for stocks – will it be the case this time? In some ways, the post-election “Trump Rally” has been among the most explosive stock market bursts of all time. Depending on the market sector or style, some bounces have been multiple standard deviations beyond anything we’ve seen in years. This has left us, naturally, with many attractive-looking charts of stocks, indices, etc., hitting new highs. But as with any rally, this one isn’t “perfect” from a technical perspective. And among the imperfections is a potentially significant one: the lack, as of yet, of a new high in the NYSE Advance-Decline Line. If you’ll recall, the Advance-Decline Line, or A-D Line, is a cumulative running tally of NYSE Advancing Issues minus Declining Issues on a daily basis. Now, regarding the non-confirmation, or “divergence”, there are plenty of reasonable caveats which we will touch on below. First off, however, why are such divergences potentially significant? Generally speaking, as we are big proponents of strong market breadth within a rally, we like to see the A-D Line going to new highs along with the indices. That suggests that there is strong participation among stocks in bolstering the rally. From a technical perspective, a non-confirmation by the A-D Line has historically been a significant warning for stocks – at times. Specifically, as we have mentioned before, every cyclical top in the S&P 500 in the last 50 years has been accompanied by a divergence in the A-D Line. 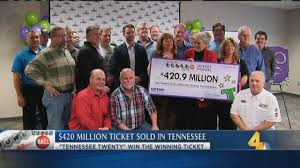 A group of 20 lucky co-workers at a Tennessee metal manufacturing plant will split a staggering $420.9 million Powerball jackpot. Lottery officials announced Tuesday that the workers from North American Stamping Group in Portland, Tenn., were in for the multi-million dollar windfall. The cash value of the jackpot is worth $254 million, which would give each person $12.7 million before taxes. “You never think you’re going to win this lottery, but you do it for fun,” winner Amy O’Neal told The Tennessean. 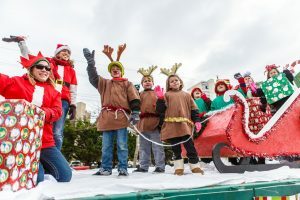 OCEAN CITY — The 34th Annual Ocean City Christmas Parade will march along Coastal Highway on Saturday, Dec. 3. The holiday parade starts at 11 a.m. on Old Landing Road and marches northbound in the southbound lanes of Coastal Highway to the judges’ stand at 120th Street. The event will feature more than 50 units, including high school bands, horses, antique cars, colorful holiday floats and more. WBOC television anchors Maxine Bentzel and Chris Weimer return as the Masters of Ceremony, providing a play by play of the parade for spectators. Professional judges will review bands and other units in nine categories, with trophies being awarded inside the Carousel Hotel following the parade. Just two weeks ago we noted that a record 25% of vehicles being traded in for used car purchases had negative equity of $3,635. Now, according to the latest report from Edmunds, the new car market isn't any better off with 32% of trade-ins having an average negative equity balance of $4,832. Of course, that's no problem when you can simply roll that negative equity into a brand new 7-year loan at a 2% interest rate. Sure, with the average car priced at $33,000, that means your starting principal balance is 115% of your new car's value but that's no big deal, right? That just means you'll have to roll over even more negative equity in 4 years when you buy your next brand new vehicle. Through the first three quarters of this year, an estimated 32% of all trade-ins being rolled into a new-vehicle purchase were under water — the highest rate on record, according to Edmunds.com. The amount of negative equity car buyers are rolling has also reached a record high. On average, according to the firm, consumers trading in their vehicles for new cars are rolling $4,832 in negative equity. "It's curious to see just how many of today's car shoppers are undeterred by how much they owe on their trade-ins,"said Edmunds.com Sr. Analyst Ivan Drury. "With today's strong economic conditions at their back, these shoppers are willing to absorb a significant financial hit to get into a newer vehicle. The cause of the fall is a La Nina event following in the wake of an unusual strong El Nino. Big El Ninos always have an immense impact on world weather, triggering higher than normal temperatures over huge swathes of the world. The 2015-16 El Nino was probably the strongest since accurate measurements began, with the water up to 3C warmer than usual. With the economic expansion in its eighth year, over 15 million jobs added since the post-recession low in employment, and a steady decline in the jobless rate from its recessionary high of 10% to under 5%, many mainstream economists were convinced that the U.S. economy was in good shape. That misconception, at least where jobs are concerned, is a key reason so many were stunned by this month’s election verdict. Looking beneath the headlines, it is important to appreciate how unevenly distributed the job gains have been during the current business cycle. We pointed out nearly five years ago that, over the first two years of the jobs recovery, Whites accounted for less than 59% of the job gains, even though they made up over 81% of the labor force. Meanwhile, Blacks and Hispanics, who made up “about a quarter of the labor force, accounted for around five out of every eight jobs added” (USCO, February 2012). Last month, we again emphasized the skewed nature of this jobs recovery, noting that, “for seven long years, the majority of less-educated non-Hispanic White adults has not been employed. No wonder there is such angst in the lead-up to this presidential election” (USCO Essentials, October 2016). “As you may know by now, there have been terrible wildfires in the Great Smoky Mountains, the same mountains where I grew up and where my people call home. WASHINGTON (AP) — House Democrats re-elected Nancy Pelosi as their leader on Wednesday despite disenchantment among some in the caucus over the party’s disappointing performance in elections earlier this month. The California lawmaker, who has led the party since 2002, turned back a challenge from Ohio Rep. Tim Ryan. The secret ballot vote was 134-63. The 76-year-old California Democrat was forced to promise changes to the caucus to answer complaints from lawmakers fed up with being shut out of the upper ranks of leadership, especially in the wake of a devastating election that installed a GOP monopoly over Congress and the White House. A half-dozen Democrats delivered testimonials to Pelosi in nominating speeches, but the disenchantment was evident. Joe- Not related... but Chief Sewell was found guilty in court. 3 years suspended and 1,000.00 fine. 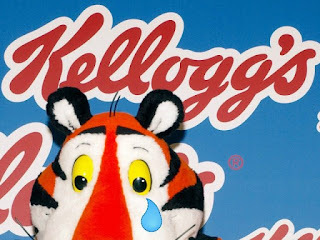 #DumpKelloggs was the most popular trending topic on Twitter in the United States at the time of this writing after Breitbart News organized a boycott against the company on Wednesday. The boycott, which has also taken place under the hashtag #DumpKelloggs, has generated thousands of posts on Facebook and Twitter, with the official Kellogg’s Facebook pages for various products being bombarded with complaints from Breitbart’s readers. Now, voter-integrity activists say he may be right about winning the popular vote among qualified registered citizens – the only people legally permitted to participate in federal elections. 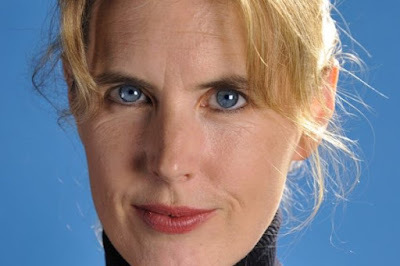 Catherine Engelbrecht of True the Vote, who waged a years-long fight against the IRS over its targeting of conservative groups, said she’s convinced Trump is correct. She promised reliable estimates of the number of illegal-alien voters are on the way. “We are still collecting data and will be for several months, but our intent is to publish a comprehensive study on the significant impact of illegal voting in all of its many forms and begin a national discussion on how voters, states and the Trump administration can address this growing problem,” she said. Hillary Clinton may have lost the presidential election, but that’s not stopping supporters from fawning all over her. Clinton appeared at a Unicef awards ceremony on Tuesday night and during her entrance, a woman seated at a piano stood and kissed Hillary’s hand as she made her way on the stage. 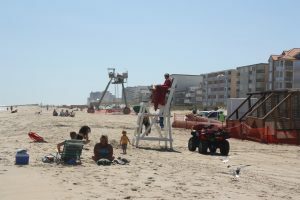 OCEAN CITY — Despite a request from federal Army Corps of Engineers to expedite the project, resort officials this week denied a request to allow the next cycle of beach replenishment planned for later this year to occur during the peak summer months. The last regularly scheduled beach replenishment project in Ocean City was conducted in 2014, making 2018 the next phase in the regular four-year cycle. However, Ocean City was hit with a number of severe coastal storms during the offseason last year, including Tropical Storm Joaquin in October 2015, followed by Winter Storm Jonas last January with the latter causing an estimated $21 million in damage to the resort’s beach and dune system. A series of quick-fix repairs were undertaken last spring and repairs to the dune crossovers and fencing continued through the summer and into this fall. The Army Corps of Engineers, along with its state partner the Maryland Department of Natural Resources (DNR) and the Town of Ocean City, have been planning for the next phase of the beach replenishment project, which has been moved up to 2017 after the damage caused by coastal storms last year. 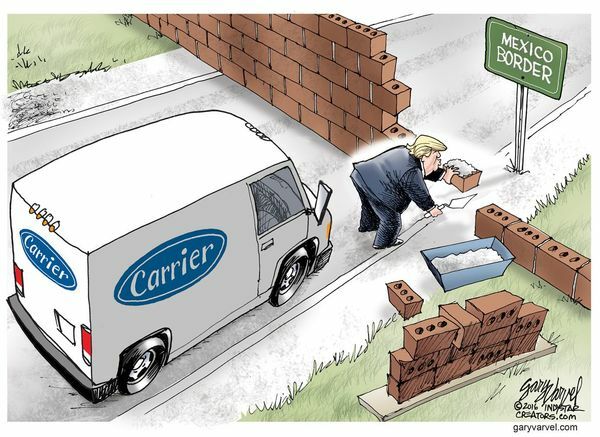 It has just been confirmed that Donald Trump has in fact closed the deal with Carrier, salvaging a minimum or 1,100 jobs and perhaps even more jobs created. Mr. Trump also clearly stated that he will in fact keep his promise, if American companies leave the United States they will in fact be taxes very heavily if those businesses think they're going to bring their products back into the United States. 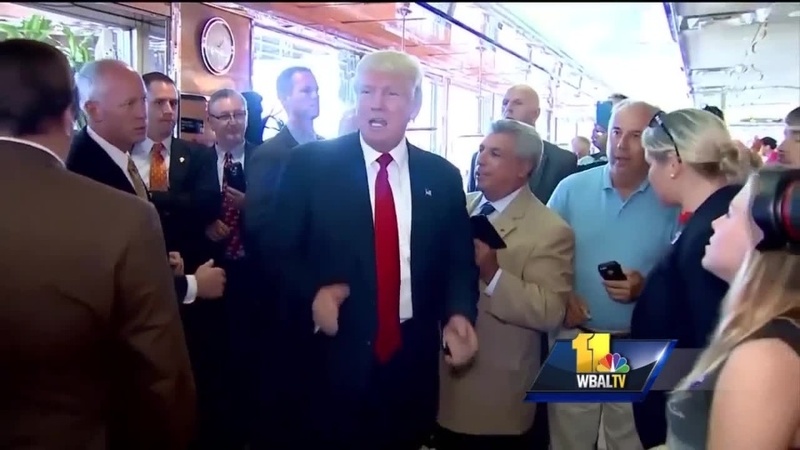 Mr Trump also confirmed, A WALL WILL BE BUILT at the Mexican border. So much for the LIES the MSM continues to spew. Finally, THANK YOU! No, not Mr. Trump. I'm Thanking our Viewers. I'm thanking the tens of thousands of people who trusted Salisbury News and our next President. Even before he takes office he's delivering on promises our current President said couldn't be done. Donald Trump is already Making America Great Again. Oh, to you nay sayer Liberals, BITE ME! UPDATE: Seaford – William B. Ryan has been located in good condition. The Gold Alert has been canceled. Seaford –The Delaware State Police are issuing a Gold Alert for William B. Ryan of Seaford who was last seen around 4:00 p.m, today Thursday December 1, 2016. 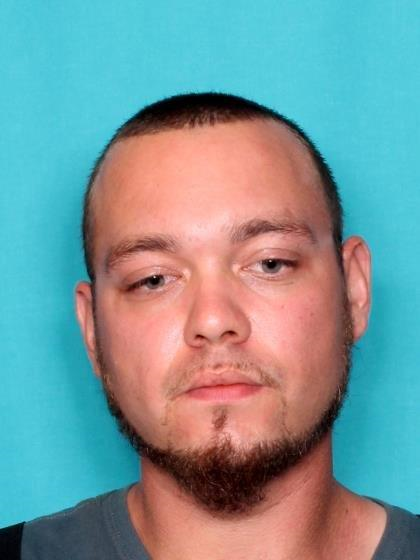 William is a white male, 27 years of age, 5’11” tall, 235lbs., brown hair and hazel eyes. Troopers have been unable to make contact with William to check on his welfare. Attempts to locate him have been unsuccessful and there is a real concern for his safety and welfare. He may be operating black 2008 Ford Focus with Delaware registration; 190379 in the Laurel area. India is the most notable recent example– the embarrassing debacle a few weeks ago in which the government, overnight, “demonetized” its two largest denominations of cash, leaving an entire nation in chaos. But there have been so many smaller examples. In the US city of New Orleans, the local government decided earlier this month to stop accepting cash payments from drivers at the Office of Motor Vehicles. As I wrote to you recently, several branches of Citibank in Australia have stopped dealing in cash altogether. In other words, despite the India chaos, Summers thinks we should still curtail the $100 bill. The conclave of the high priests of monetary policy almost invariably sings the same chorus: only criminals and terrorists use high denominations of cash. Ken Rogoff, Harvard professor and former official at the International Monetary Fund and Federal Reserve, recently published a book blatantly entitled The Curse of Cash. Ben Bernanke’s called it a “fascinating and important book”. CHARLOTTE HALL, MD. (WUSA9) - This beaver isn't waiting to the last minute to finish his Christmas shopping. And it looks like he was trying to save a buck too. The critter perused through aisles at a dollar store in Charlotte Hall, Maryland. 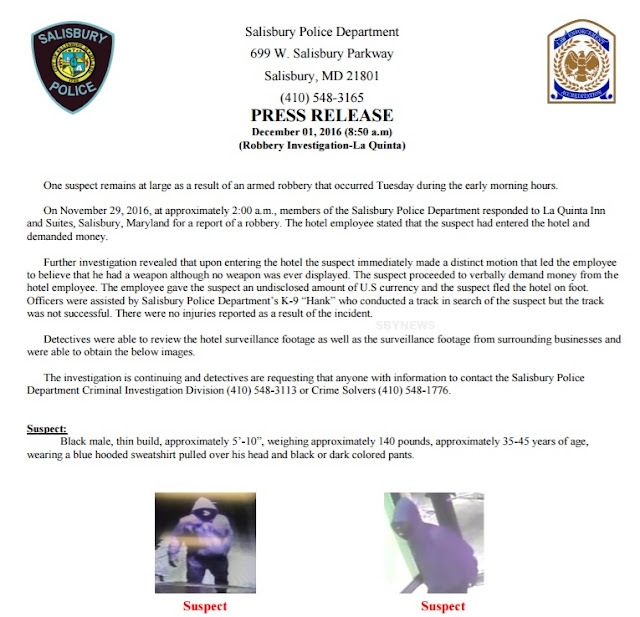 He was caught going through rolls of gift wrap and tree lights before someone called St. Mary's County Sheriff's Office about the disturbance. 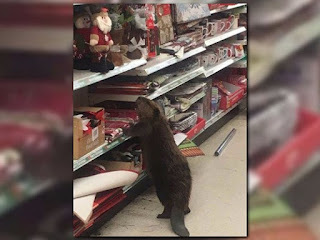 Animal control removed the beaver from the store and returned it to a wildlife rehabilitation center, according to the sheriff's office. President Barack Obama’s administration has transferred $167 million in just one month from programs which aid Americans to the programs which feed, house, school, and entertain a wave of illegal alien minors. Obama’s deputies are delivering an average of 255 illegal alien minors every day to Office of Refugee Resettlement at the Department of Health and Human Service, which already has 11,200 illegals in its care as of Nov. 27. HHS is getting the money for the illegals by cutting funds from programs which benefit vulnerable Americans. OCEAN CITY – In light of the serious boating accidents that occurred in local waters this past season, Delegate Mary Beth Carozza (District 38C) is advocating for changes to Maryland’s current boat safety regulations aimed at increasing safety for Maryland families and visitors. In a letter to the Department of Natural Resources’ Maryland Boat Act Advisory Committee, Carozza wrote in support of a proposed change to COMAR regulation 08.18.01.05, which pertains to operating a boat in a negligent manner. This proposed change would define bow riding on a boat and would specify that bow riding is a separate offense. Carozza’s letter, in which she also supports a new boat safety campaign to inform and educate Maryland residents and visitors on the safe operation of boats and jet skis, is attached to this press release in its entirety. The Boat Safety Act Advisory Committee is scheduled to meet on Thursday, December 1, at 10 a.m.
What was most troubling, however, is that delinquencies for auto loans increased in the third quarter, and new subprime auto loan delinquencies have not hit the highest level in 6 years. The rise in auto loans, a topic closely followed here, has been fueled by high levels of originations across the spectrum of creditworthiness, including subprime loans, which are disproportionately originated by auto finance companies. Disaggregating delinquency rates by credit score reveals signs of distress for loans issued to subprime borrowers—those with a credit score under 620. More white people are dying than being born in a third of the states, according to new research. The death rate among Caucasian Americans outstripped the birth rate in 17 states in 2014, compared to just four in 2004, the University of New Hampshire found. While Latino, black and Asian populations continue to grow, soaring death rates among white middle-aged Americans - combined with the fact that white families are having less children - mean certain states are seeing falling Caucasian populations. White Americans are reportedly dying faster thanks to a silent 'epidemic' of deaths from suicides, drug and alcohol poisoning. A toxicology report has confirmed that a James Madison University student died from a accidental opioid overdose at a fraternity house party in February after he ingested a dangerous drug concoction known as 'poppy tea'. Steven Austin Underhill, a junior majoring in engineering with a minor in math, was discovered unresponsive on February 21 at the Phi Gamma Delta fraternity house on South Main Street in Harrisonburg. The 21-year-old student had 'a high dosage of opioids' in his system from ingesting poppy tea, according to the toxicology report. The Harrisonburg Police Department warned the public against ingesting poppy tea following Underhill's tragic death, as it has been described as an intoxicating solution made from common household products, including poppy seeds. Sunrise, Fla.: A burglar was fatally shot Monday after breaking into a home in the 4300 block of Northwest 103rd Terrace in Sunrise, authorities said. Police said the suspect was taken to Broward Health Medical Center, where he later died. Two other suspects fled the scene and were detained nearby, police said. The suspects’ identities have not been released and authorities have not said whether anyone inside the home was injured. 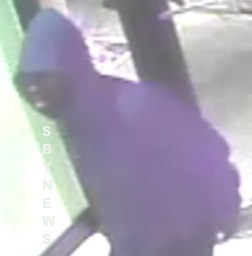 Philadelphia: Police are investigating after a suspect was shot during an attempted robbery in Philadelphia’s Feltonville section. It happened around 6 p.m. Sunday in the 100 block of Rockland Street. Police say a man in his 20s was trying to rob a person when the victim opened fire, shooting the suspect twice in the leg. The suspect was taken to Temple University Hospital, where there was no word on his condition. The victim was not injured. 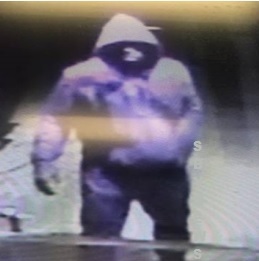 WASHINGTON — A Montgomery County homeowner awoke Wednesday to find swastikas and other derogatory words spray-painted on his family’s cars, and police are searching for the suspect. Police responded to a home in the 3000 block of Spencerville Road in Burtonsville, Maryland, at about 6:25 a.m. after the homeowner found swastikas, the word “racist,” “Trump” and other words related to the homeowner’s possible political affiliation spray-painted on all three of the family’s cars, Montgomery County police said Wednesday evening. The cars were parked in the driveway, police said. Police said they believe the homeowner’s political affiliation may be the motive for this vandalism. (CNSNews.com) - Unaccompanied children and families from Central America continue to pour across the U.S. border illegally because they know they will be released into the interior of the country, Border Patrol Chief Mark Morgan told Congress on Wednesday. He said the Border Patrol is devoting "a tremendous amount of resources" to process and care for these people. He called it a humanitarian mission. He also said the humanitarian mission, which includes burritos and baby wipes, is detracting from the national security and law enforcement mission. "A lot of resources are dedicated to being professional child care providers at this point," Morgan told the Senate Homeland Security Committee. Those are the words that poet Sally Read said to an icon of Jesus in 2010. Read, a British poet and atheist, had stopped into a church in Santa Marinella, Italy. She felt burdened. Her young daughter was having health issues. Her husband Fabio was enduring some stress at work. The MSM conglomerates are now the most prolific and insidious "fake news" propagators in the marketplace of ideas. The mainstream media’s opinion-shaping conglomerates are desperately searching for “plausible explanations” to account for the Trump phenomenon. Indeed, these hapless scribes completely ignored the groundswell of grassroots support nationwide that led toDonald Trump’s victory over their shoe-in favorite, Hillary Clinton, and her crime family syndicate. Clearly, the mainstream media (MSM) missed it because they are a collective of inbred print and cable media echo chambers that exist in a few major urban centers such as New York, Washington and Los Angeles. This collective has little interest — much less contact — with those deplorable grassroots folks from flyover country. The MSM’s latest effort to explain Trump’s victory is that his knuckle-dragging supporters were virally circulating “fake news” stories about Clinton. The MSM claims these stories were generated on fake websites by minions of Trump’s BFF, Vlady Putin. Yes, apparently another example of how the Russians “rigged the election” for Trump after Clinton’s Russian reset button failed and her secret communications subterfuge as secretary of state was exposed. “Efforts by Facebook and Google” to do what?? The bankruptcy of RadioShack at the beginning of 2015 probably seems like a distant event to you now, but the business entity that used to be the massive electronics chain is still wrapping up its affairs. One of those last pieces of business is the end of gift card redemptions. The Shack’s estate will stop accepting requests on Friday, Dec. 2, 2016. “No one could possibly still have a RadioShack gift card lying around,” you might be saying right now. That’s not true: between Sept. 24 and Nov. 21 of this year, almost one year after RadioShack and state attorneys general negotiated a deal that put RadioShack cardholders first, 269 people apparently found RadioShack cards in their junk drawers and turned them in. After more than a year of waiting, Congress has finally okayed a piece of legislation that, if signed by the president, will stop companies from using so-called “non-disparagement” or “gag” clauses to prevent or discourage customers from writing honest reviews. The Consumer Review Freedom Act gives the Federal Trade Commission and state attorneys general the authority to take enforcement actions against businesses that attempt to step on customers’ First Amendment rights by requiring that they sign a non-disparagement agreement. These gag clauses generally threaten to punish the customer with financial penalties if they say anything negative about their experience with the company — even if it’s completely honest. Some companies have gone even further, fining customers for merely saying they intend to write something negative, or evenencouraging others to give negative feedback. Police are investigating whether an attack at Ohio State University which left 11 injured was an act of terror. Abdul Razak Ali Artan, 18, rammed his car into a group of pedestrians at the college and then began stabbing people before police shot him dead on Monday. The student's motive is still not known, but terrorism is a possibility, police chief Kim Jacobs said. However, Artan was not previously known to the authorities, an anonymous source told the Associated Press. Conflicting reports have begun to emerge surrounding Artan's character. Student journalist Kevin Stankiewicz interviewed him on his first day on campus andsaid "he did not seem angry", and was more worried about intimidating others. But US media have claimed Artan may have posted a rage-filled rant to Facebook shortly before the attack took place. SALISBURY, MD – Attendees to this Saturday’s Wreath Making Workshop will be able to decorate their homes with holiday decorations they’ve created themselves. The Pemberton Hall Foundation and the Westside Historical Society will host the event this Saturday, Dec. 3, at Pemberton Historical Park’s Education Building. It runs from 10 a.m.-3 p.m.
All greens and supplies are provided and local experts will be on-site to teach and assist visitors in making their own natural wreaths, swags or arrangements. Crafters may bring their own decorative items such as ribbon or ornaments, as they will not be available on-site. The cost is $15 per item. Reservations are not required, but since there is a limited amount of table space, there may be a short wait. To reserve space in advance, please call 410-742-1741. For questions, email pjtsby@aol.com or westsidehistorical@gmail.com. 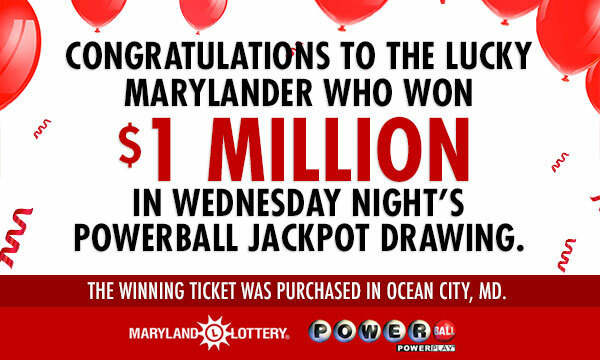 OCEAN CITY — Maryland Lottery officials this week are still looking for the winner of a $1 million second-tier Powerball drawing for a ticket sold in Ocean City last week to come forward. 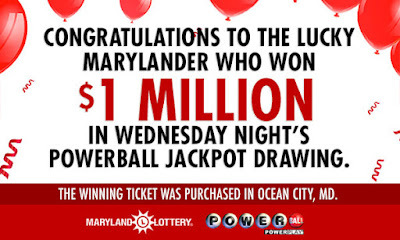 Last Wednesday, nobody won the multi-state Powerball drawing totaling over $400 million, but a $1 million second-tier winning ticket was sold at the 7-Eleven convenience store on 119th Street in Ocean City. The winning numbers were 7, 32, 41, 47 and 61 and the Powerball number was 3. The unidentified $1 million winner who purchased the ticket at the 7-Eleven store in Ocean City matched all five numbers, missing only the Powerball number. While we end November on a warm note here in the eastern US, there are changes unfolding across the Northern Hemisphere that will likely bring a widespread very cold air mass into the US next week. This cold air mass is first going to arrive in Alaska this upcoming weekend with some spots in that state plunging to 40 degrees below zero and way below normal for early December. After that, the cold air dives into the western US during the first half of next week and then it’ll likely blast into the eastern US late next week. In fact, by the time Saturday, December 10th rolls around, there may be colder-than-normal conditions all the way from Alaska to the southeastern US. Beyond that, it looks like this colder pattern will indeed have some staying power as we move deeper into the month of December. Asked by Breitbart News Daily SiriusXM host Alex Marlow on Tuesday if Democrats supporting a recount effort in certain states may have an impact in terms of putting another Clinton email investigation back on the table, Democrat pollster and analyst Pat Caddell said it should not. However, he also added, “I’m hoping that Donald Trump will allow Jeff Sessions as attorney general” to make the decision whether or not to go forward with a new investigation of Hillary Clinton’s email scandal. The topic came up while discussing the ramifications of Clinton’s support of Jill Stein’s recount efforts, which many see as an attempt to undermine the coming Trump presidency even before it gets started. Salisbury, MD - St. Francis de Sales School invites community friends to come to its annual Santa Social event, Sunday, December 11, 2016, held in the Philip and Barbara Long Parish Center. Enjoy a delicious pancake breakfast, visit with Santa for photos, and a vendor bazaar. There will also be kids crafts and a kids shopping area, so they can buy presents to give family and friends. The event goes from 8:30am to 1pm. Breakfast is just $6, and $4 for kids under 12. Proceeds benefit St. Francis de Sales Catholic School. Pictures with Santa are free with purchase of the pancake breakfast. The public is invited to attend. Come join us for the festivities! Hillary Clinton's lawyer filed a motion in a Wisconsin county court on Tuesday requesting to sign on to Jill Stein's recount lawsuit as an "intervenor," according to Dade County court records. Stein, the Green Party's presidential nominee, initiated the civil suit against the Wisconsin Elections Commission on Monday. She claimed the voting machines were flawed and those in Wisconsin and Pennsylvania had security issues. The commission has refused to require all ballots be recounted by hand and left it up to each county whether ballots are recounted manually or electronically. Joshua Kaul, an attorney for Clinton, has filed a memo in support of the hand recount. Over the weekend, the Clinton campaign's general counsel Marc Elias wrote that it did not have reason to believe the election was rigged, adding it "had not uncovered any actionable evidence of hacking or outside attempts to alter the voting technology." But Elias added: "Now that a recount has been initiated in Wisconsin, we intend to participate in order to ensure the process proceeds in a manner that is fair to all sides." The FBI still hasn’t turned over to the State Department any of the messages it reportedly obtained from the computer shared by top Clinton aide Huma Abedin and her now-estranged husband Anthony Weiner, the administration told a federal judge Tuesday. FBI officials have signaled they will eventually turn over any State Department documents they obtain, lawyers said — but there is no time frame for doing so. “We haven’t recovered anything from the FBI,” said Lisa A. Olson, the Justice Department lawyer handling the case. The urgency of the case has declined after the election, which saw Ms. Abedin’s boss, former Secretary of State Hillary Clinton, suffer a shocking defeat. A hearing that in the weeks ahead of the election drew massive interest from reporters instead saw less than a handful now. “What a shock that we have less interest today than in past hearings,” Judge James E. Boasberg said as he surveyed the empty courtroom. 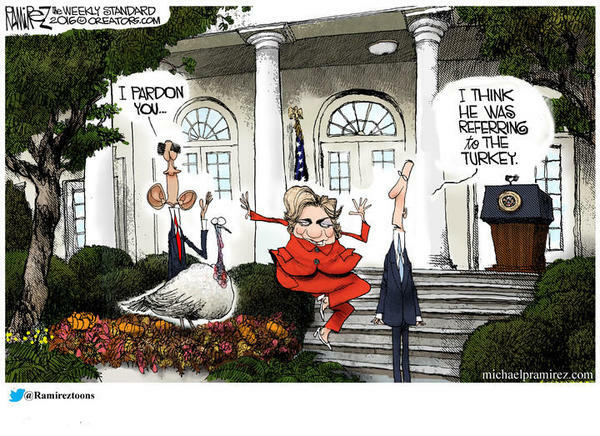 Just weeks before Election Day, FBI Director James B. Comey told Congress his agents had come across new documents that were related to their investigation into Mrs. Clinton, which he’d closed out in July without recommending charges. DUNDALK, Md. —Maryland remains a deep blue state politically, but President-elect Donald Trump was able to flip white working-class votes in parts of Maryland, including eastern Baltimore County. 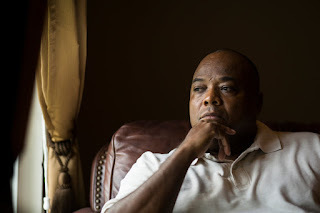 This is a story of an area overwhelmingly white and blue collar that started trending Republican years ago, but in the 2016 presidential election, it painted itself deep, deep red. Many patrons of the Boulevard Diner in Dundalk couldn't be happier with the results of the 2016 presidential race. "I don't wear the hat around, but I am a Trump supporter," said Michael Hopkins. On December 1, 1955, Rosa Parks disobeyed an order to give up her seat in the black section of the bus to a white passenger. She was arrested and then challenged the arrest, her case leading to a protest and then a Supreme Court decision reversing segregation. 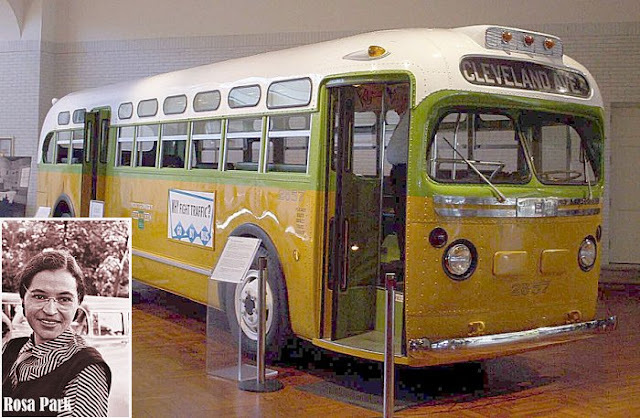 Rosa Park was college-educated and well aware of the personal and general consequences of her actions. But she also knew that the driver who ordered her to give up her seat that day was the same who forced her off the bus in humiliation years before. This time, she decided, would be different. 20-year-old Justin Nojan Sullivan pled guilty on Tuesday morning to a chilling terrorist plot in which he planned to use a silenced gun to murder hundreds of people in Virginia and North Carolina on behalf of the Islamic State. 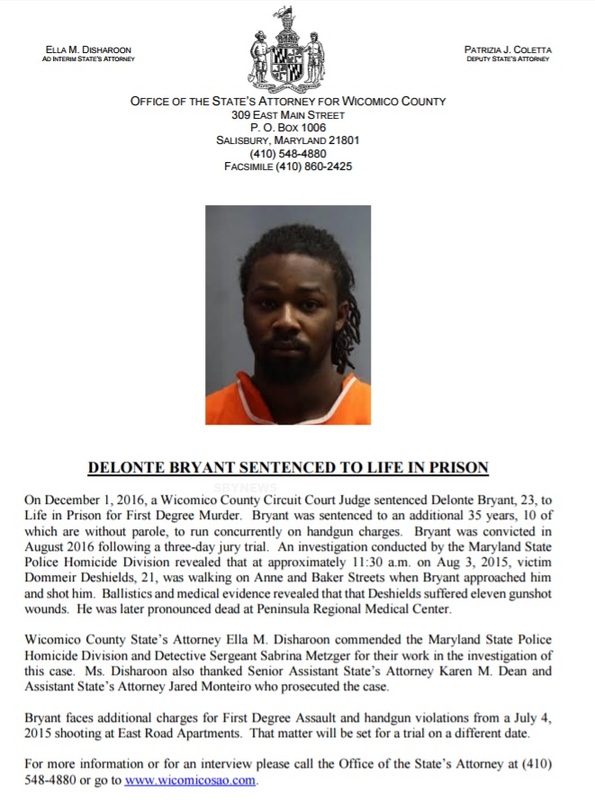 He has agreed to serve a life sentence in prison. “Justin Sullivan planned to kill hundreds of innocent people. He pledged his support to ISIL and took calculated steps to commit a murderous rampage to prove his allegiance to the terrorist organization,” said FBI Special Agent in Charge John A. Strong, of the Charlotte, North Carolina, office, as quoted by the Associated Press. “Sullivan admitted in court today that he attempted to commit acts of terrorism transcending national boundaries by planning mass casualty shooting attacks on behalf of ISIL against innocent people in North Carolina and Virginia,” stated U.S. Attorney Jill Westmoreland Rose. “It is frightening to know that the defendant in this case was able to use social media to contact and seek advice from ISIL, a murderous organization,” Rose added. Three-star US Army general Michael Flynn has ruffled a lot of feathers since he was fired as head of the US Defense Intelligence Agency in 2014. He has led chants for Hillary Clinton to be “locked up,” dined with Russian president Vladimir Putin and been tacitly rebuked by the head of the joint chiefs of staff for his politicking. Despite insisting earlier this year that he “could care less” about being offered a job by Donald Trump if the latter were to win the election, Flynn has been named national security adviser to the president-elect. Flynn was initially rumored to be a candidate for the role of defense secretary under Trump, but that would have required senate approval and a congressional waiver (a former member of the military must be out of service for seven years before taking on a new government role; Flynn has been retired for just two). The national security advisor appointment puts Flynn in a position to influence Trump’s national security policies while side-stepping what could have been a bumpy approval process. Wondering about his policy positions? Here are some quotes from Flynn himself. Publishers Notes: SO, what's the problem? Even MSNBC is praising Trump after this GREAT NEWS!!! Vietnam Veterans of America sent letters Tuesday night to bothPresident Obama and President-elect Trump asking them to work together to help veterans who were kicked out of the military for behavior linked to post-traumatic stress or traumatic brain injury. 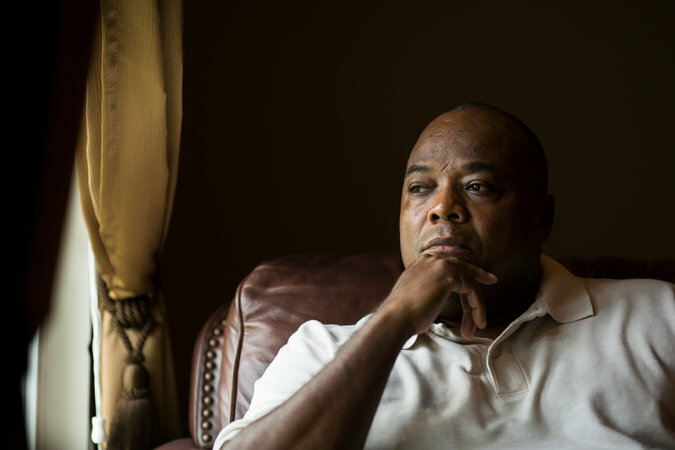 John Rowan, the national president of the veterans' service organization, wrote that he would like to see Obama issue a blanket pardon to post-9/11 veterans who were administratively separated with an other-than-honorable discharge because of service-connected PTSD or TBI, and that he would like to see that executive action upheld by the Trump administration next year. "Through an executive order, President Carter erased the felony-level offense of draft-dodging for thousands of men who refused to serve their country during the Vietnam War," Rowan wrote. "We believe that veterans who have done their duty and served their country deserve similar consideration before President Obama leaves office." At least 22,000 troops have been kicked out of the military with other-than-honorable discharges for behavior that likely stems from post-traumatic stress suffered during combat ranging from repeatedly being late to formation to drunken driving to getting into fights. These behaviors can be caused by symptoms of PTSD, such as insomnia or self-medication. For those of us with loved ones serving in the line of duty – whether it’s in the military, as a policeman, or something else – we all have feared for the worst. While our loved ones assure us that everything will be alright, we can’t help but think what could happen. A young named Tanner Brownlee can perfectly relate to that struggle. His father was a police officer. In 2010, Tanner’s father died after an intense police chase. It is very difficult to lose somebody you love unexpectedly, but for a young man who was close to his dad, it was almost too much to handle. Since the incident, his family’s life hasn’t been the same. Tanner struggled to cope with the loss of his father, but over time, he started to pick up the broken pieces and piece his life back together. 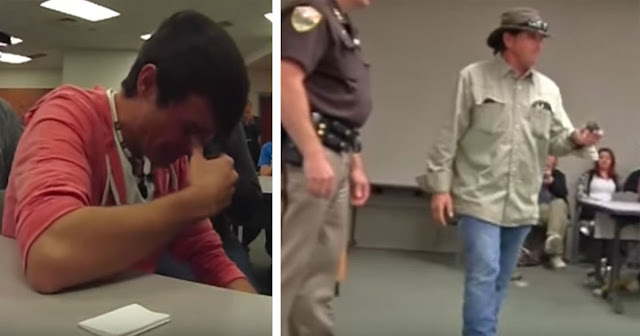 Wanting to have something he could use daily to keep his dad’s memories alive, Tanner decided to buy his squad car, which was going to be sold at an auction. DOVER, Del. — A state panel erred in concluding that a woman who was injured on the job remained entitled to disability benefits because she is in the country illegally and has been unable to find other work, the Delaware Supreme Court said Tuesday. The justices reversed a Superior Court ruling that upheld the state Industrial Accident Board’s determination last year in favor of Magdalena Guardado. The Superior Court was ordered to remand the case to the IAB for a new hearing. Cuba’s Had A Lung Cancer Vaccine For Years, And Now It’s Coming To The U.S.
Barack Obama’s expansion of the student-loan repayment program, intended to help curb America’s $1.26 trillion pile of outstanding college debt, is proving a lot more costly. In a 100-page report (pdf) released today, the Government Accountability Office said it’d forgive $108 billion in debt for the borrowers of government loans who have fulfilled their obligations under the Obama administration’s income-driven repayment plans. That number is much higher than what the US government originally expected. What should have been a happy ending for a California shelter dog instead turned into heartbreak. And the devastation was felt around the world. Video footage shows the 2-year-old German Shepherd barking and prancing when she spots her former owners arriving at her Los Angeles County shelter. But the family reportedly snubbed her because they wanted to adopt a different pet. “With her fast wagging tail seeing her owners, Zuzu [lit] up like a Christmas Tree [sic]. She looked like the happiest dog. Yeah, she’s going home,” said shelter volunteer Desi Lara in a Facebook post Monday that detailed the video. “But No. Talking to her owners they told me they were not here to reclaim her, they were getting another dog,” she continued in the post that’s since garnered thousands of views, reactions and shares. Lou Dobbs has a few thoughts on the left-wing national news media and celebrities, all arrayed against Donald Trump, still snapping at his heels. Monumental left-wing ignorance on full display as well at the American Music Awards last night as they stupidly mocked the Trumps.” Mr. Dobbs then plays some excerpts of the nauseating garbage that was part of the broadcast. Dobbs continues, “But if Broadway only calls out Republicans then I believe Broadway will soon go the way of the left-wing national news media. There are far too many exciting entertainment choices these days that are cheaper, more convenient than a Broadway play that insults much of its audience.” That’s a lesson he says the New York Times is now learning, though not taking to heart and one also that needs to be studied by the self-aggrandized liberal pinheads at NPR. SALISBURY, Md. 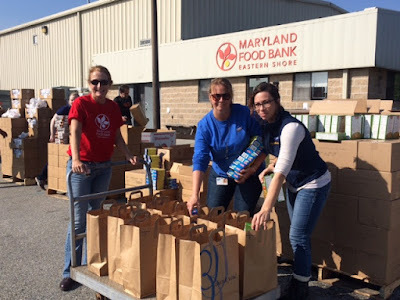 – For the fifth consecutive year, associates from Perdue Farms packed hundreds of holiday meals for families in need as part of the Maryland Food Bank – Eastern Shore’s Pack To Give Back Local event sponsored by Perdue Farms. Earlier this month, two separate meal packing events – one at the food bank’s facility in Salisbury and one at Emmanuel Wesleyan Church here – brought together associates, their families and community volunteers to pack more than 1,200 meal bags for our local neighbors in need. Paired with turkeys, the meal bags contained traditional holiday fixings such as cranberry sauce, mashed potatoes, and stuffing. They will be distributed to soup kitchens, pantries, and shelters across the Shore in November and December, ensuring happy holidays for families who might otherwise go without. 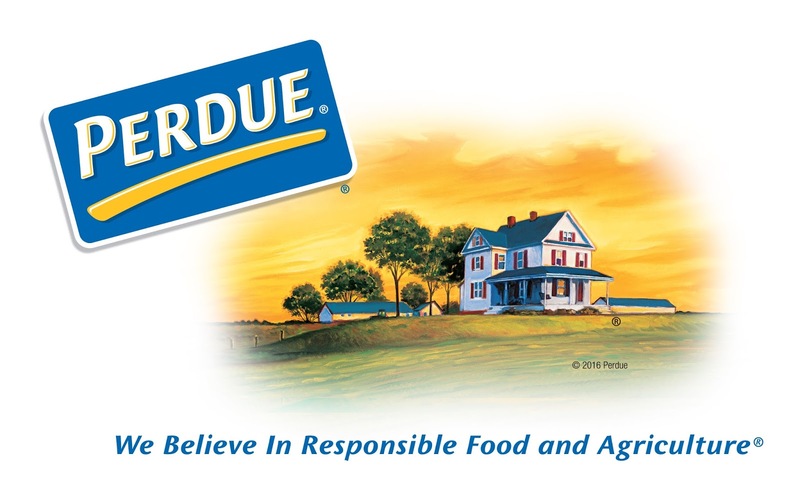 This marks the fifth year that Perdue Farms has sponsored this holiday event through a generous $10,000 donation from its charitable giving arm, the Franklin P. and Arthur W. Perdue Foundation. Donations totaling $5,000 from associates at Perdue AgriBusiness also helped fund the cost of food items in each bag. Through events scheduled in other counties across the state, including central and western Maryland facilities, more than 44,000 meals will be distributed as part of this holiday effort. His father said he'd make a deal with his son, "You bring your grades up from a C to a B average, study your Bible a little and get your haircut. Then we'll talk about the car." offer and they agreed on it. but I'm disappointed you haven't had your hair cut." The boy said, "You know, Dad, I've been thinking about that, and I've noticed in my studies of the Bible that Samson had long hair, John the Baptist had long hair, Moses had long hair, and there's even strong evidence that Jesus had long hair." "Did you also notice that they all walked everywhere they went?" Sen. James Lankford (R., Okla.) released a report Monday chronicling billions of dollars misused by the federal government. 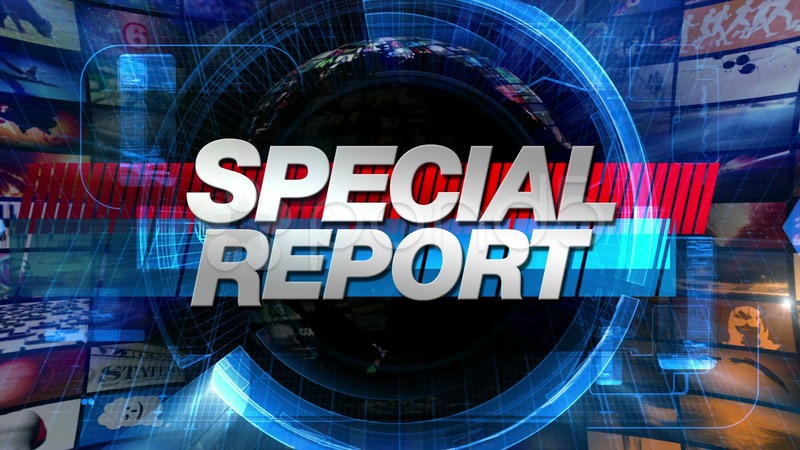 The second edition of Federal Fumblesfeatured several reports on wasteful spending first uncovered by the Washington Free Beacon, including half a million dollars spent on text messages encouraging men to stop dipping and research dollars spent on Snuggies. The report highlights large and small examples of wasted taxpayer dollars, from improper Medicaid payments totaling $142.7 billion since 2009, to $300 million in grants to sanctuary cities, to $47,000 for the TSA to buy an app that randomly points left or right. Free Beacon articles featured in the report include a $1.5 million National Institutes of Health study of how kids think about food. Results found that 8-year-old children were not likely to eat food if they were told that someone sneezed on it.